The enigmatic French filmmaker Leos Carax started young, unveiling his idiosyncratic, imaginative debut, Boy Meets Girl, when he was all of 23. But in three decades since, he’s only completed four more features: the romanticized noir riff Mauvais Sang; The Lovers On The Bridge, which was at one point the most expensive film ever made in France; the dark Herman Melville adaptation Pola X; and the unclassifiable meta-whatsit Holy Motors. Fans have learned long ago not to trust reports on new projects. 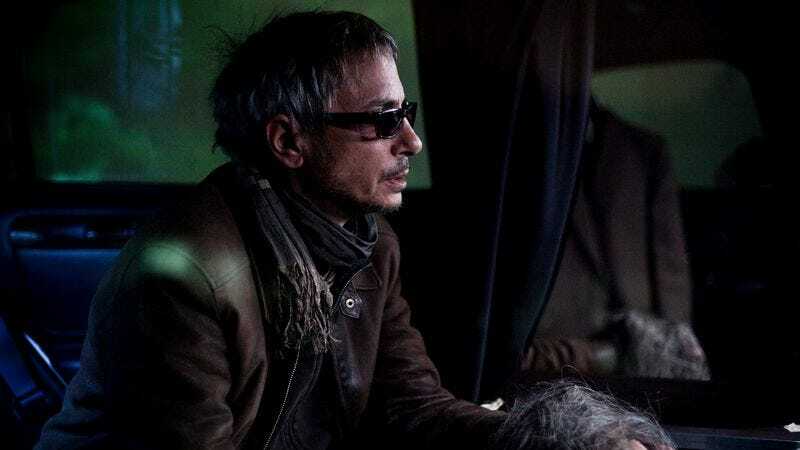 Partly that’s because Carax movies (even the ones that get made) often sound too good to be true. Case in point: Annette, the English-language musical that director has been readying for the last couple of years, with a song by the art-pop duo Sparks. But as noted by The Playlist and confirmed by Variety, the project is now ready to go, with Adam Driver and Rooney Mara in the lead roles. The film is expected to start shooting in the spring, with Rihanna rumored for a small role. (She and Carax have a mutual friend in Harmony Korine.) Quoting a casting notice, The Playlist reports that Annette tells “the tragic story of a stand-up comedian whose opera singer wife is deceased. He finds himself alone with his 2 years old daughter who has a surprising gift.” Sure thing. Carax is no stranger to collaborating with cult musicians: Pola X was, for the long time, the only film scored by the pop-crooner-turned-avant-garde-icon Scott Walker. (Recently, Walker scored Brady Corbet’s The Childhood Of A Leader; oddly enough, Corbet is prepping his own musical with Rooney Mara.) And he’s responsible for some of the all-time most sublime uses of pop music in film, including the much-imitated “Modern Love” sequence in Mauvais Sang and the fireworks medley in The Lovers On The Bridge, shot on one of the largest sets ever built in Europe. His last film, Holy Motors included even two out-and-out musical numbers. One of those was “Who We Were,” an original song co-written by Carax and Neil Hannon (a.k.a. The Divine Comedy), was sung live on camera by Kylie Minogue in an abandoned department store. The other was the film’s joyous “intermission,” which managed to unite all that is good and holy into a single shot: a cathedral, an accordion band, a Steadicam, a vintage Airline guitar, longtime Carax alter-ego Denis Lavant, and the hill country blues of R.L. Burnside.